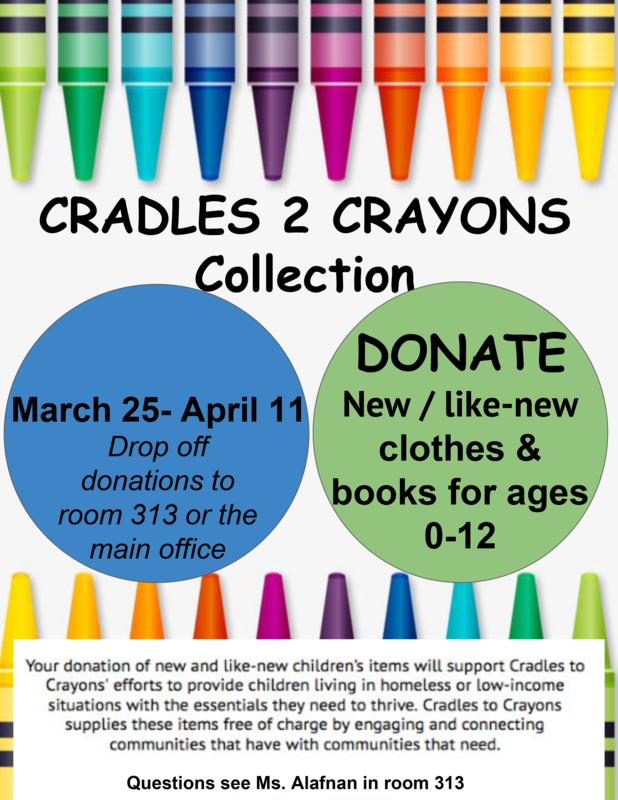 The Cradles to Crayons Donation Drive is on! 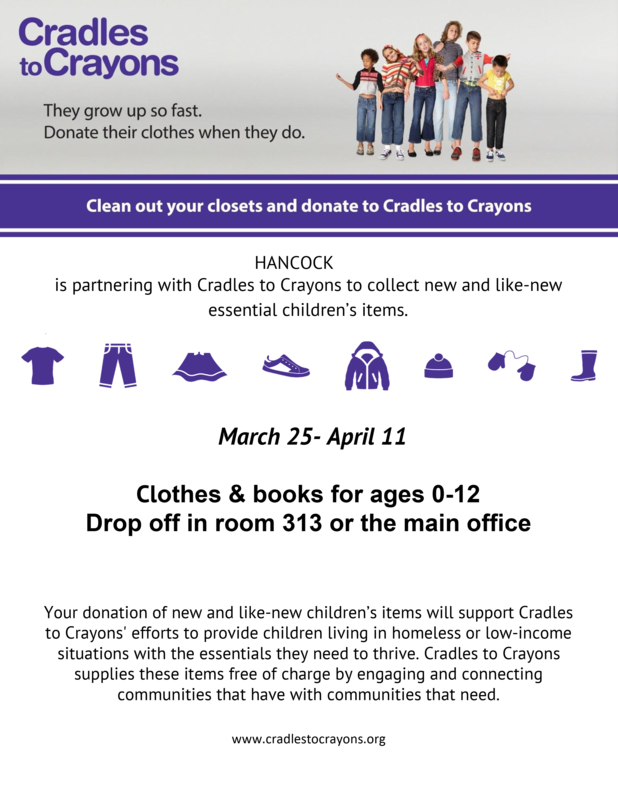 Your donation of new and like-new children’s items will support Cradles to Crayons' efforts to provide children living in homeless or low-income situations with the essentials they need to thrive. Cradles to Crayons supplies these items free of charge by engaging and connecting communities that have with communities that need.